I look to capture wildlife doing its own thing away from the influences of mankind. But, human activity is encroaching on their habitats and selfish pollution and environmental destruction are threatening how these creatures live. My job is to research issues of environmental pollution. I analyze how the plethora of chemicals mankind uses pollute the environment and harmfully impact wildlife. However, my research findings alone do not always convey to people the importance of protecting the natural environment. So, I hope to stir the viewer's interest in Mother Nature by catching earth's creatures behaving the way they do and preserving those fleeting moments as photographs. That thought is always with me when taking pictures. I'm taking a photo of beautiful nature and wildlife of all over the world while of studying environmental pollution problem. Especially an underwater photograph is my lifework. 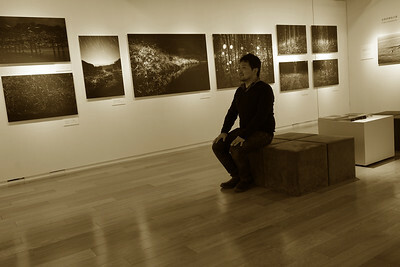 Moreover, I have challenged various nature photographs, such as a firefly, the snow monkey and whales. Please see the wonderful nature photos of the world. These nature photos are exhibited by many news, media, and websites of all over the world. Upon request, I will take a lecture on environmental problems using abundant natural photos and scientific information. 2018. JUNE 29 Japanese monkeys was chosen as "Photo of the Day" in National Geographic. 2018. 14th Miura Environment Award, incentive award. 2016. 1st Place, Nature Underwater category, International Photography Awards; Selected for the 2016 Best of Show Exhibition. 2016. Editors Favorite, National Geographic Photo Contest. 2016. Photographer of the Year (Open competition, first Japanese ever to win), Sony World Photography Awards . That same work was awarded the First Place prize in the Japanese category.